Our general information support center will help with issues ranging from uploading private photos, to sending offers and messages and everything in between. If you can’t find a solution to your problem on this page, open up a Customer Support ticket. Remember, you must be 18+ to use this website. After completing your registration, you will receive an activation email. 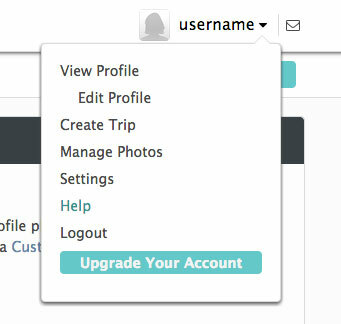 Follow the link to activate your account, then simply fill out a profile and upload a few photos of yourself. Once these are approved you are on your way to meeting the right travel buddy. Check the size of the photo. We recommend uploading photos under 5MB. Why can’t I see another member’s private photos? Members will need to grant you permission in order to view private photos. Photo permissions can also be revoked. You may have had your ability to view a user’s private photos revoked by the owner of the photos. Please see our Member Concerns section for details on the blocking/revoking process. How may I get my photos and profile approved faster? Below is a list of guidelines to help you choose great photos for your profile. MissTravel reserves the right to reject inappropriate photos. For best results, your photo(s) should show a clear face unobscured from shadows or blurriness. Try to use a recent photo to show how you currently appear. Ideally, the first photo you upload should be a close-up or headshot. It never hurts to include a body shot to correlate with your selected body type. 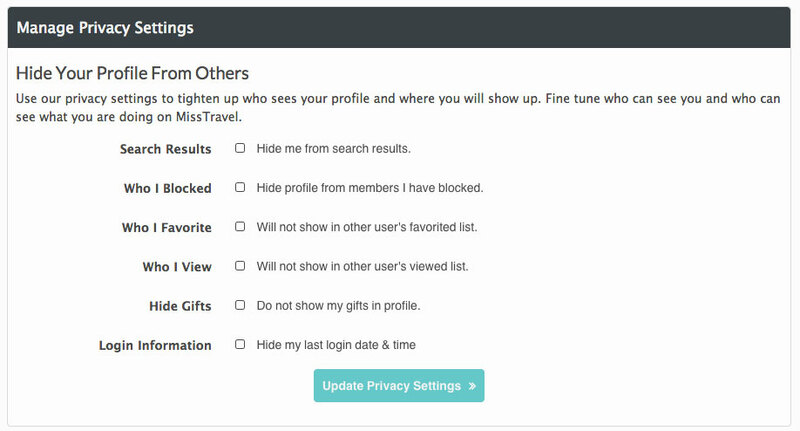 Making changes to your MissTravel profile is very simple. Select “View My Profile” >> Edit Profile. From here, you can make changes to any section of your profile. Click on any of these areas to make the necessary changes. Click “Update Profile” when finished. How do I submit a Trip Proposal? MissTravel allows users to create Trip Proposals that are fully customized. Our central team receives all travel offers prior to their approval. Once a trip has been approved, the generous member will see an “Approved” status next to the proposed trip. If an offer is declined, the user will see a “Denied” status next to their submitted trip offer. Users may immediately submit another Trip Proposal. Why can’t I send Trip proposals for approval? 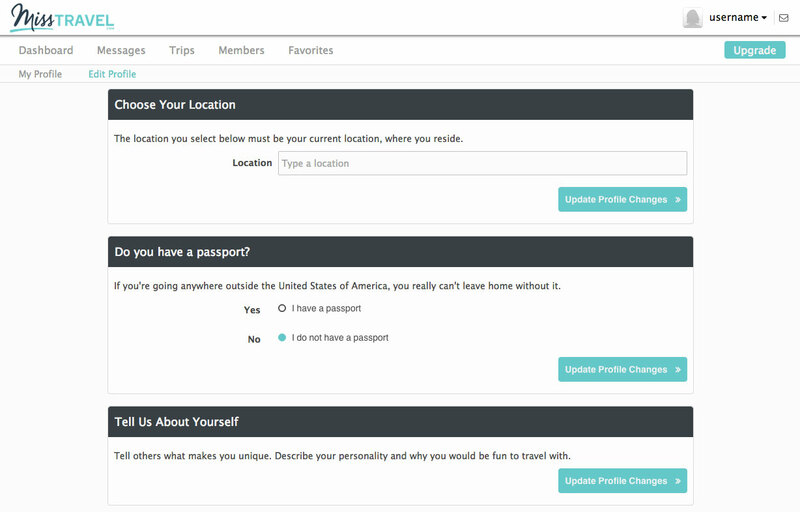 Typically, if a user does not see the option to propose a trip it’s likely because your profile has not yet been approved or you have not yet uploaded a public photo. If neither of these instances resolve the issue, please contact Customer Support. If you need a new password, please reset it here. 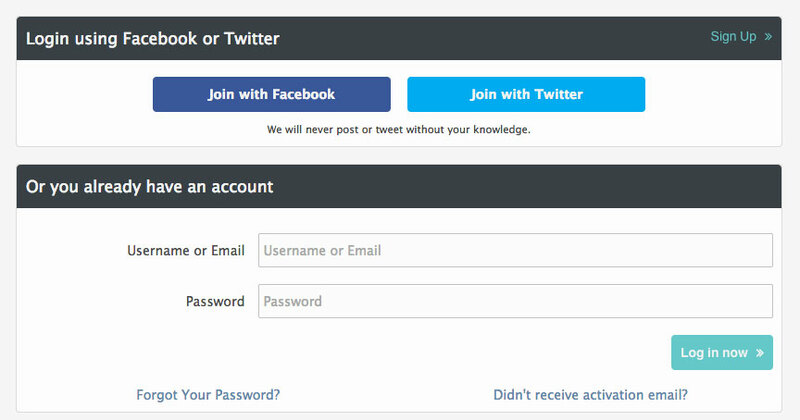 You may not create another account with the email address used for an existing account. Our system does not allow for more than one account to be registered to the same email address. Instead, please contact Customer Support to have your profile restored. You will need to provide the email address you used previously to access the deactivated account. TIP: Users can only register an email address one time. If an account is deleted and a member wishes to restore their account with a previously used email, please contact [email protected] to regain access. I want to change my username and/or password. Please contact Customer Support to change your username, providing both your current and desired usernames. It is best to provide a few choices for your new username in case your first choice is already being used by another member. Keep in mind that we do not allow last names in usernames. Please contact Customer Support, providing your current username. For privacy and security reasons, we are unable to deactivate your account for you. Please follow these steps below to deactivate your account. Can a proposed trip be removed from my account? When a MissTravel member proposes a trip, the offer will be reviewed by our processing team. In the event that a member wishes to make an adjustment to a posted trip, the trip will have to be cancelled and a new trip offer must be submitted for approval. The newly submitted trip offer will then be reviewed once again by our processing team. If approved, the new trip offer will be available in the search results of members. Go to “Settings” in the right hand corner dropdown menu. Select the “Privacy” tab at the top of the page. Go to the “Search Results” option. There will be a box in this area offering to hide the profile from user search results. This process will disable current trips from appearing in search results, preventing all attractive member views and contact. If a trip will not be used, members are advised to simply cancel their trip until they are prepared to travel. Does MissTravel still allow virtual gifts or the Frequent Flyer Miles Program? Unfortunately, MissTravel no longer offers the Frequent Flyer Mile gifting program. Each member is responsible for his or her own expenses in accessing the MissTravel site. Any plans involving travel will need to be coordinated between users via messaging and exchange of personal contact information.